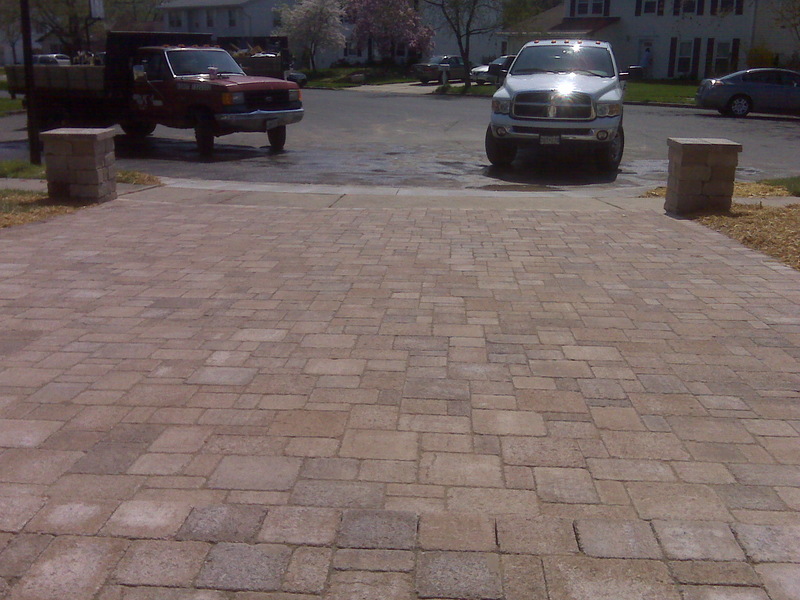 Old school classic look Patriot Paver, still looking great. 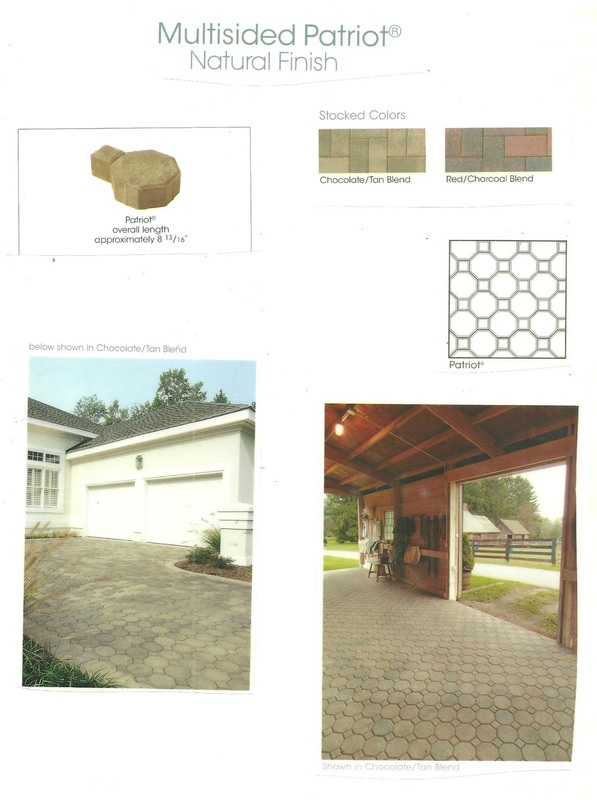 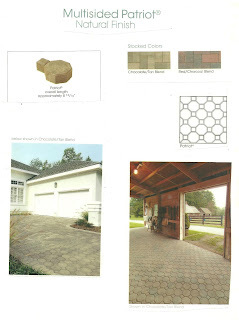 The Patriot paver is a classic paver that has been around since the pavers started being manufactured in America. 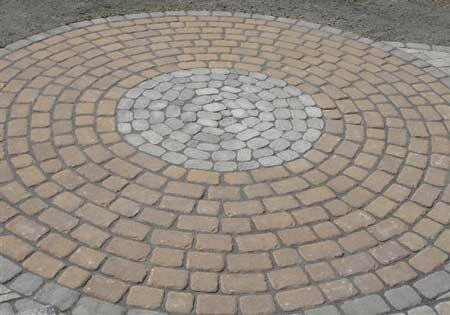 The multisided shape still looks great for all types of jobs. 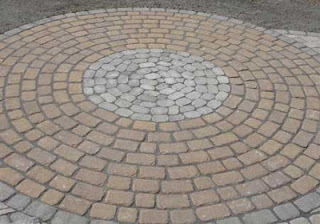 The price is great for this paver also. 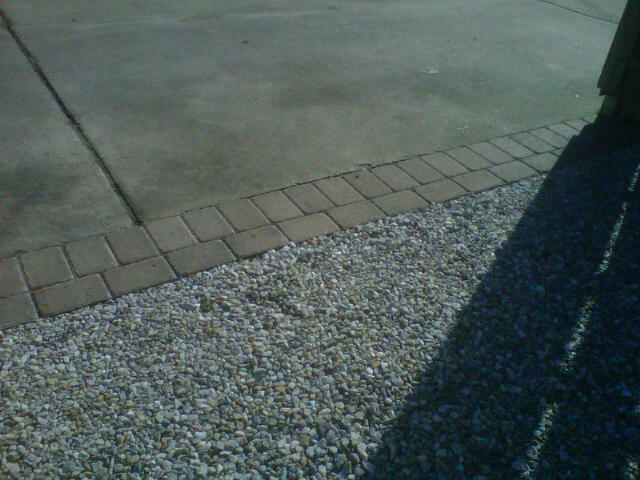 Long live the Patriot. 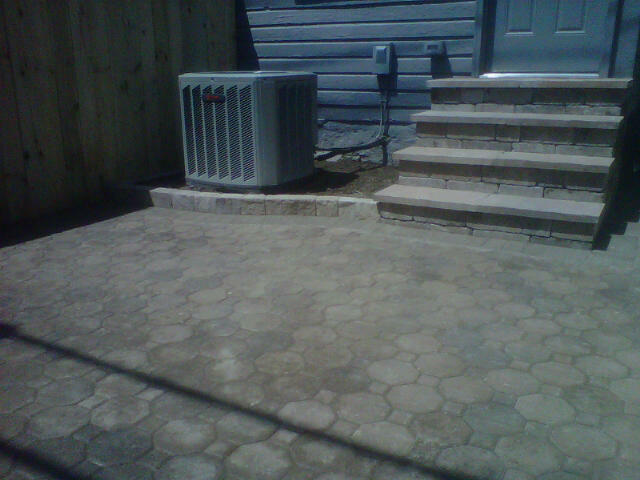 Concrete Over Lay systems. 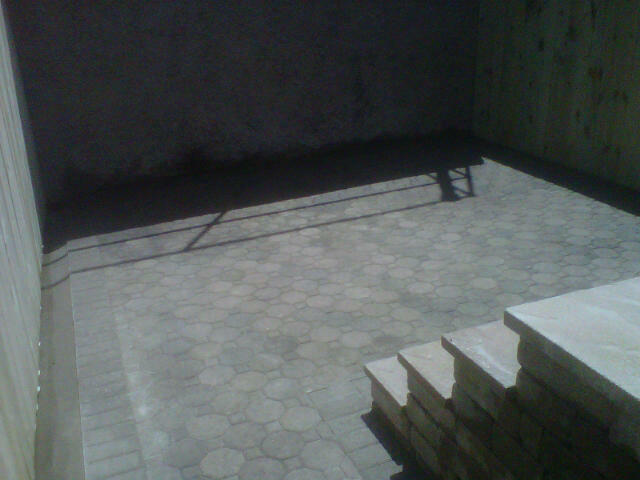 BLU 45mm and Venetian Pavers. 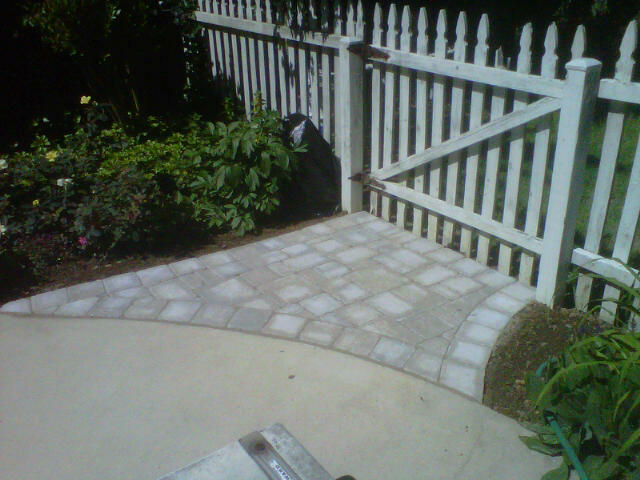 Two great pavers made just for over laying on top of existing concrete. BLU 45mm and the Venetian are 1.77" thick and get installed on a scratch coat of mortar cement. 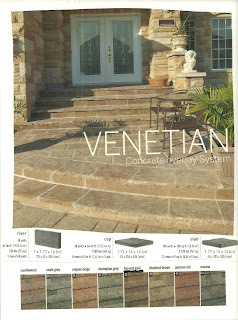 The Venetian comes with a cap paver and riser for steps. 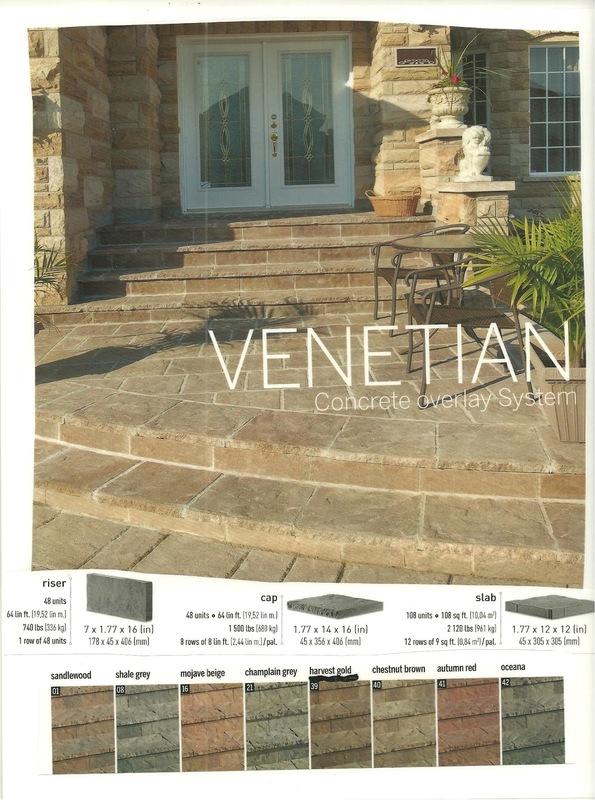 Both the BLU 45mm and the Venetian can be used together on the same project for a custom job. 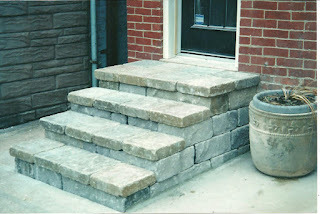 This stoop is the Chapel Wall Stone Block for risers/sides of steps and the Chapel Stone Caps for the step treads. 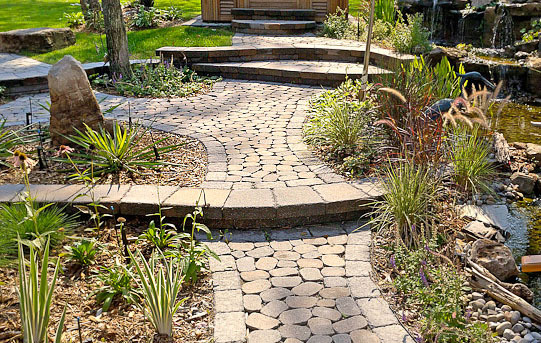 Mortar-less, will never crack and fall apart. 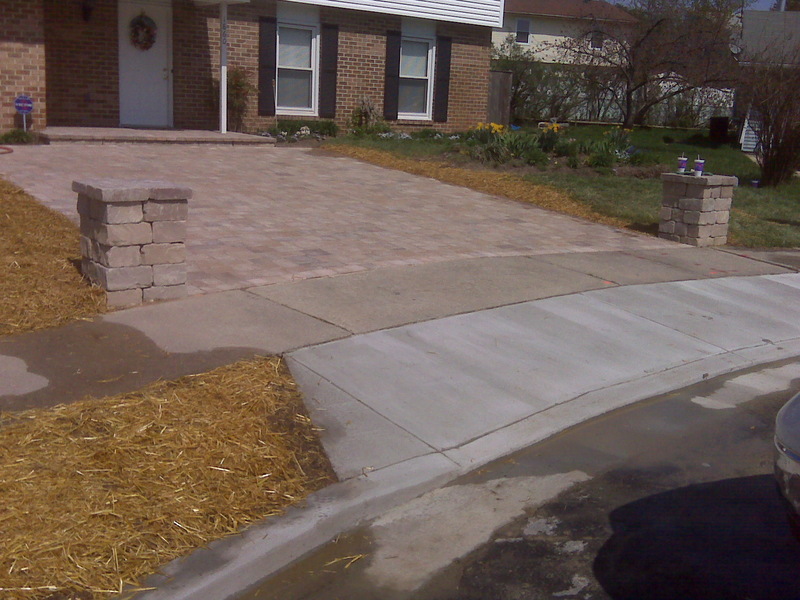 It is installed on a footer and cured together with paver bond. Very good look for a city stoop. Out with old and get with the new. 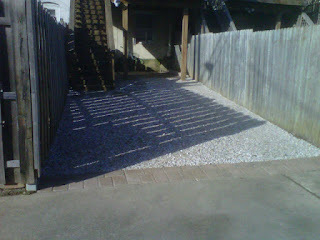 Removed old concrete, steps, and fenced and replaced with new pavers and new fencing. 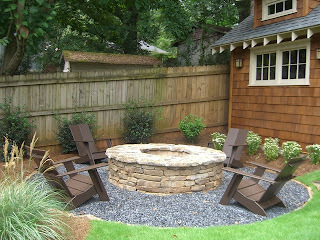 Expand your city home and make that backyard NICE. 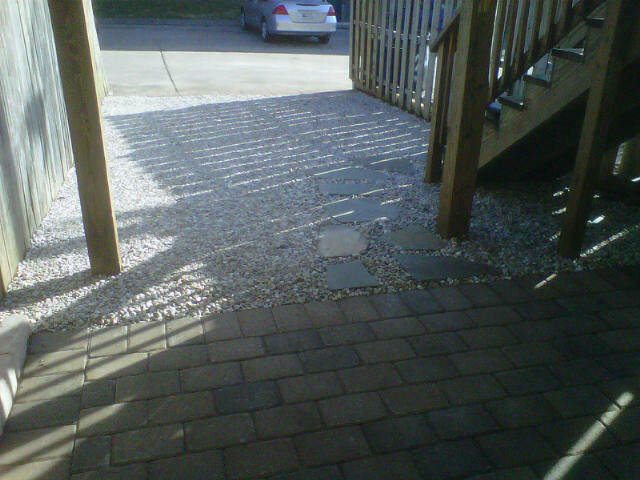 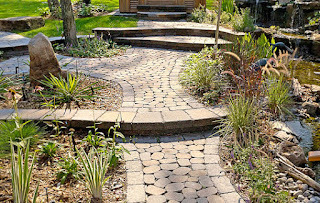 Loose gravel walkways, patios, and driveways are great if you are on a tight budget. 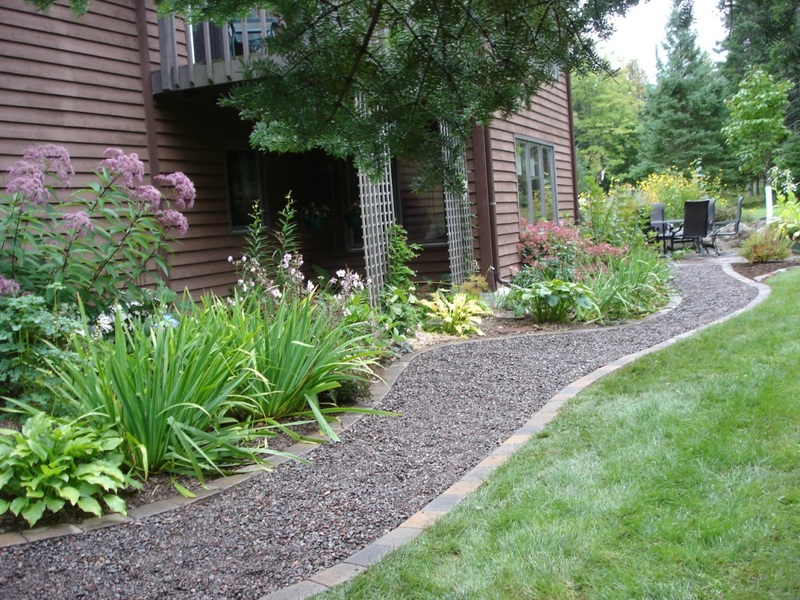 The key to them is installing geotextile filter fabric on the excavated area before your gravel of choice is installed to prevent weeds and a barrier between the dirt and the gravel. Also, I firm border to incase the gravel is a sure way to keep it in its place. 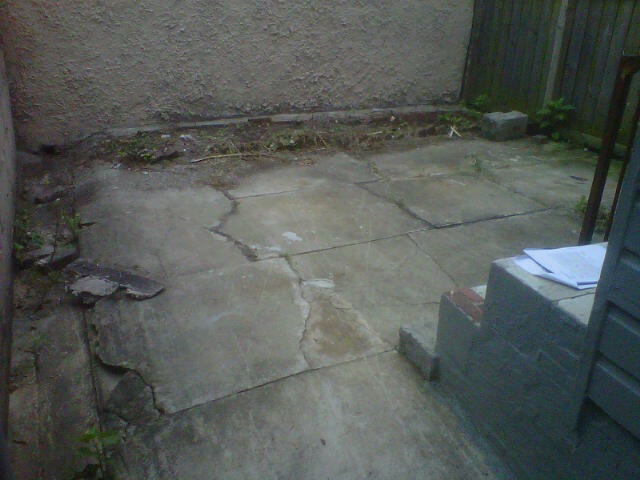 Remove the old concrete here. Installed the Chapel Wall for the columns and Appian tumbled style pavers for driveway. 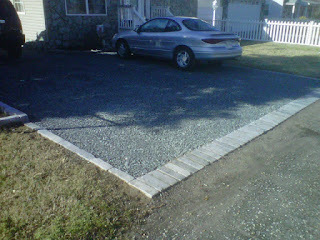 We also poured a new driveway apron. Took down rear fence, installed pavers off the house, and installed #57 stone gravel with a paver strip at alley in a Hampden Baltimore City backyard. 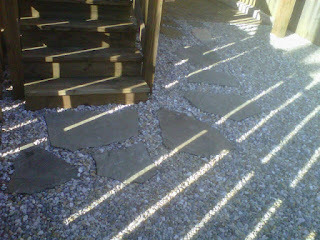 Irregular Flagstone stepping stones off deck steps. Park your car! 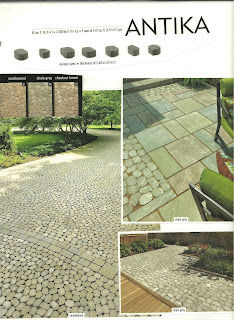 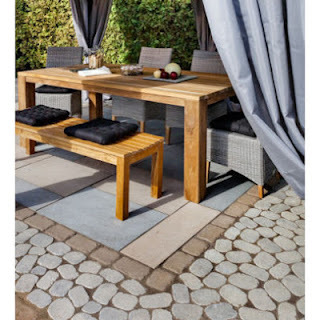 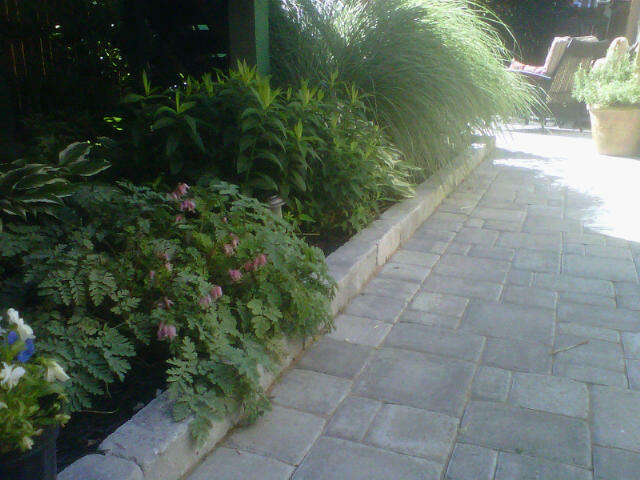 Antika Paver has the look of stone and is great all alone or for accents with a job. Be creative with the Antika Paver. Edgers for a bed in a Hampden Backyard in Balto City. 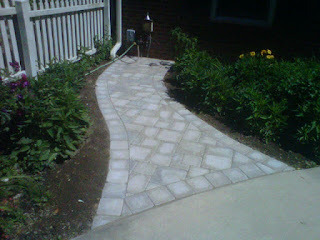 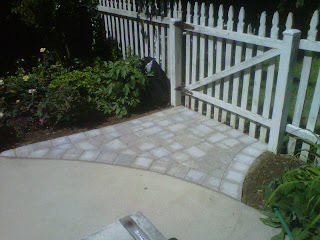 Chapel Paver Edger's and pavers in a Hampden Baltimore City backyard. 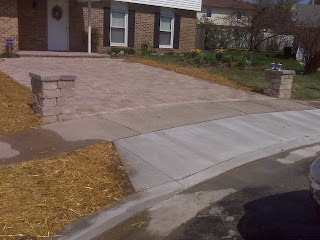 Two small paver walkways. 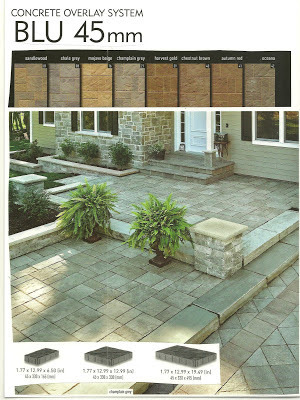 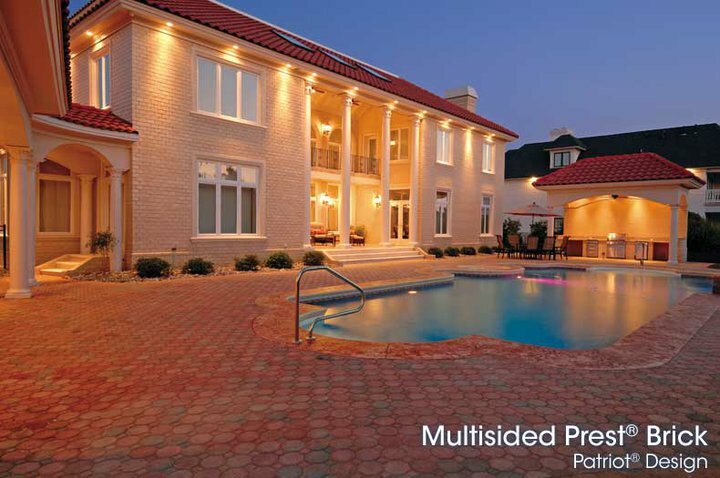 Tumbled finished pavers in the south mountain sand color. 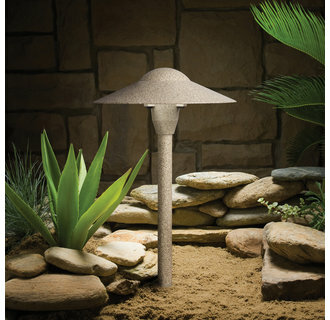 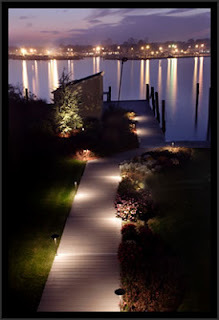 Light up your walkway with LED Low Voltage Lighting.